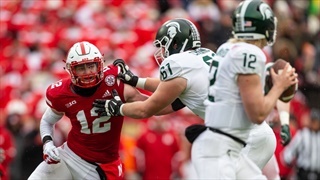 Most of the Big Ten is busy with spring football right now ahead of a slew of spring games on April 13. Here's an updated look at QB races in the West Division. Hot Reads: More Novelty in Indy in 2019? There has only been one repeat matchup in eight Big Ten football conference championship games. This season looks good for more novelty in Indy. In 2018, Big Ten teams didn't get home on blitz downs as often as some others but that doesn't mean those blitzes weren't effective. 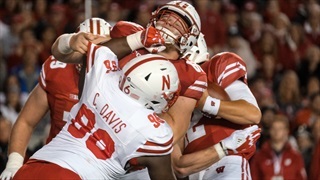 The Big Ten is a conference that still shades towards a defense-first approach. That showed up in a big way precisely when it should have last season. 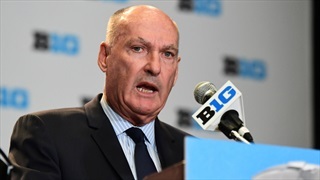 The Big Ten Conference announced Monday that Jim Delany will conclude his term as league commissioner at the end of his current contract which expires on June 30, 2020. 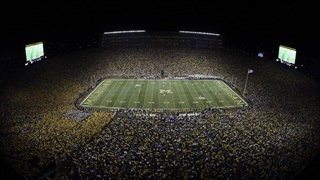 Delany has been the commissioner of the Big Ten conference for the last three decades. 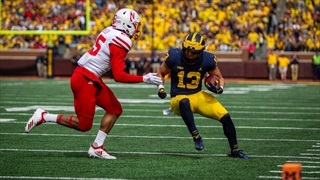 Hot Reads: Michigan Is In Good Shape at QB, But What About the Rest of the B1G East? 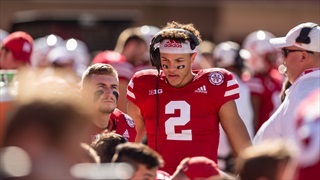 Much like the West Division, there's plenty to be sorted out at quarterback among teams in the Big Ten East. 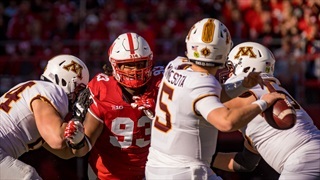 Returning experience is important, returning quarterbacks even more so and the Big Ten West Division is set for some changes behind center this spring. If you want to put up points, the Big Ten is a tough place to do it. At least of late, but there have been bubbles of big(ger) offense in the Conference of the Big Shoulders. It looks like the less your favorite team has to do in the late signing period, the better off it is. 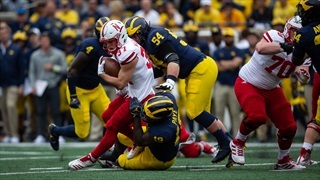 That was the case for most of the Big Ten, where Nebraska was one of the biggest movers. 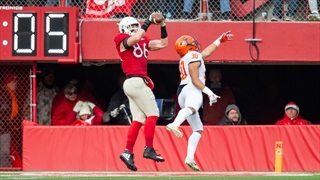 Where does Nebraska football rank as a program over the past five years? Per S&P+, it's about what you'd think in the Big Ten but perhaps a little better than anticipated on the national scale. 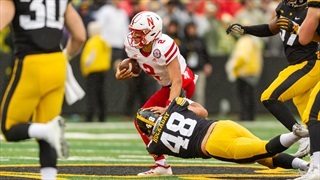 Monday marked the deadline for underclassmen to declare for the 2019 NFL Draft. Here's who took advantage of that from the Big Ten. 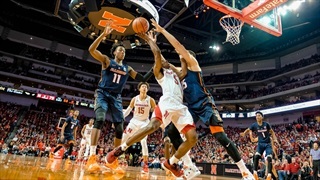 The games are over, but it has been a news-filled week for the Big Ten. Here's a roundup of the major staff changes, draft decisions and more from the earliest days of 2019. 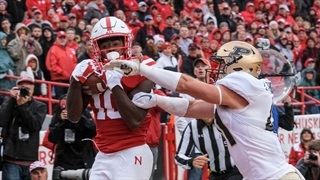 Nebraska began the bulk of the Big Ten season on Wednesday and will see nothing but conference brethren the rest of the way. 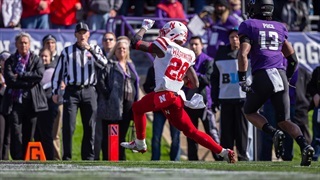 On Wednesday, Hail Varsity broke down what the Huskers did during nonconference play. Today, we're looking at the other 13 teams. 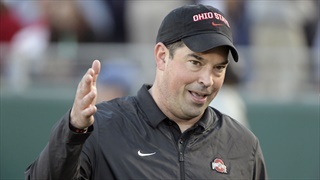 Urban Meyer went out a winner in the Rose Bowl, but now what for Ohio State and the Big Ten? The conference may be as open as its been since 2012. Michigan is No. 1 in the division (and conference) for now, but Penn State isn't slowing down and Ohio State is . . . lower ranked then normal but probably fine. 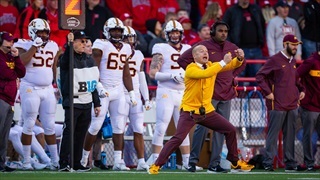 With the first day of early signing in the books the early returns show continued gains by teams in the Big Ten West Division. 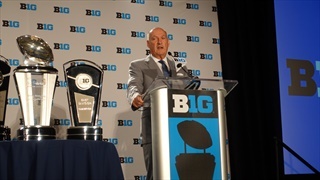 Big Ten commissioner Jim Delany is typically pretty measured, but he launched a hundred headlines this week with his mention of eliminating divisions to pit the two best teams against each other in the conference title game. 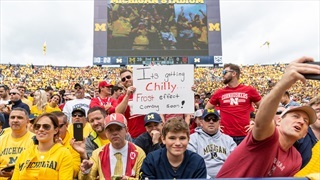 Hot Reads: Who in the Heck is Going to Win the Big Ten West? 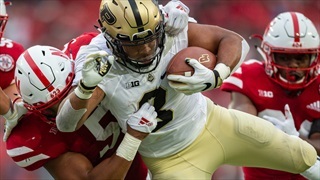 Purdue's win over Ohio State made the race to win the Big Ten West Division a whole lot more interesting. Can Nebraska still win it? Technically, yes. 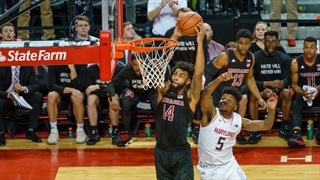 In the wake of Thursday's Big Ten Media Day, Jacob Padilla offered his best guess at what the Big Ten standings are going to look like at the end of the college basketball season.